Wow!! We got a good amount of toys this year for Toys for Tots with such short notice. I think we had around 40, give or take a few. We would just like to thank EVERYONE who contributed and took the time and effort to donate this year!! Hey everyone!! It’s that time of the year again here at Charlesgate Realty Group! Drop off your toy donation at Charlesgate Realty Group and we will donate a toy for every rental or sale, or you can just come on by and drop off your toys. We're looking to beat last year's donation!! 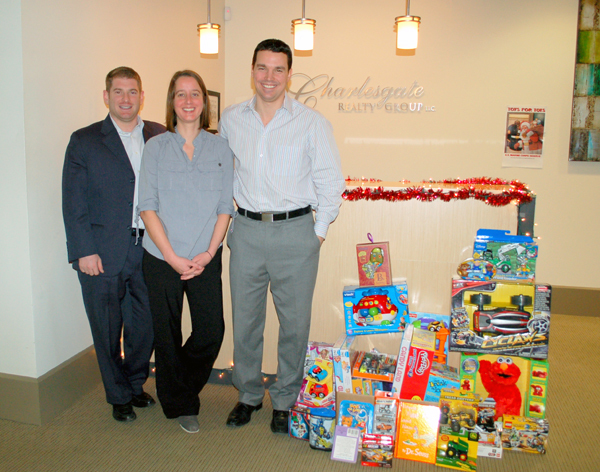 We donated over 50 toys last year! Every little bit helps!! [Here's a guest post from Michelle Princi, a skilled buyer agent on my team here at Charlesgate Realty. If you have any questions, contact Michelle]. [This is a guest post from Michelle Princi, a skilled buyer agent on my team here at Charlesgate Realty. If you have any questions, contact Michelle].